Leo Backup has the improved engine for precise incremental backup: a backup of the file that has changed since the last backup procedure. 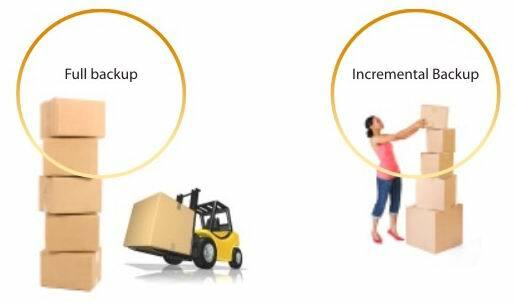 An incremental backup is the light fast process requiring the least storage space on the backup destination. Let's see how it works. For example, you're running a backup on Friday: this first backup always would be a full backup by default. Then, upon your working with theses files on Monday, Leo Backup performs the incremental backup: this backup will transfer only those files that changed since Friday. A Tuesday backup will carry only those files that changed since Monday. And the same course for the following days. You can set Leo Backup the way it performs a weekly full backup and a daily incremental backup, providing the careful saving of your daily used files.